Before he was behind the mask, a young Henrik Lundqvist once watched from the stands, quickly becoming enamored with a game as he sat watching Frölunda Hockey Club. At 18 years old, he debuted with the same team that inspired him, and by 2006 he was dubbed “King Henrik”. Well, the King hath recently returned to his homeland — and bearing gifts to boot. 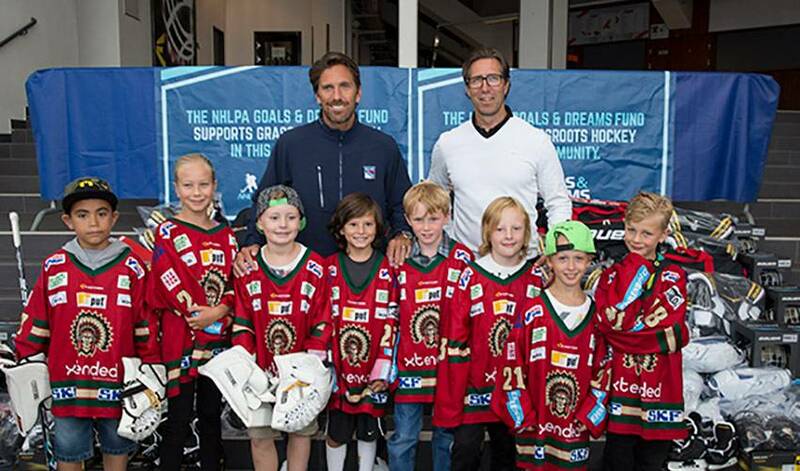 Lundqvist, the New York Rangers, and the National Hockey League Players' Association (NHLPA) came together to present Frölunda Hockey Club with a donation of 60 full sets of brand new youth hockey equipment through the NHLPA Goals & Dreams (G&D) program. The new Bauer hockey gear was presented to the club during an all-expenses paid international hockey and immersive cultural experience, provided through the Rangers Assist presented by Chase program. The 60 sets of equipment donated by G&D will be divided for use between two Gothenburg-area arenas that offer a variety of programs aimed at increasing accessibility, including a girls club and a project which will introduce the sport of hockey to about 500 students in their first year of school. “The target group includes local children with foreign background who might not usually choose to try our wonderful sport,” said Frolunda’s director of Youth development, Mikael Strouml. The North Rockland Youth Hockey association was the winner of the Rangers Assist trip to Sweden, doing so by collecting the most gear in a month-long used equipment drive, with the haul going to local rinks and organizations to benefit those in economically disadvantaged situations. Part of North Rockland’s week-long visit featured a Try Hockey for Free Clinic for local youth, which Frölunda opened up to various other area programs including learn to skate and learn to play programs. The average age of participants averaged around six, and they were co-led by the Rangers Assist representatives, Gothenburg area coaches, and the North Rockland hockey players. “The goal was to get the kids to have fun, and experience immediate success on the ice. There were stations dedicated to basic skills like skating, starting and stopping, and stickhandling,” said Rick Nadeau, Vice President of Fan Development & Community Relations with the New York Rangers. 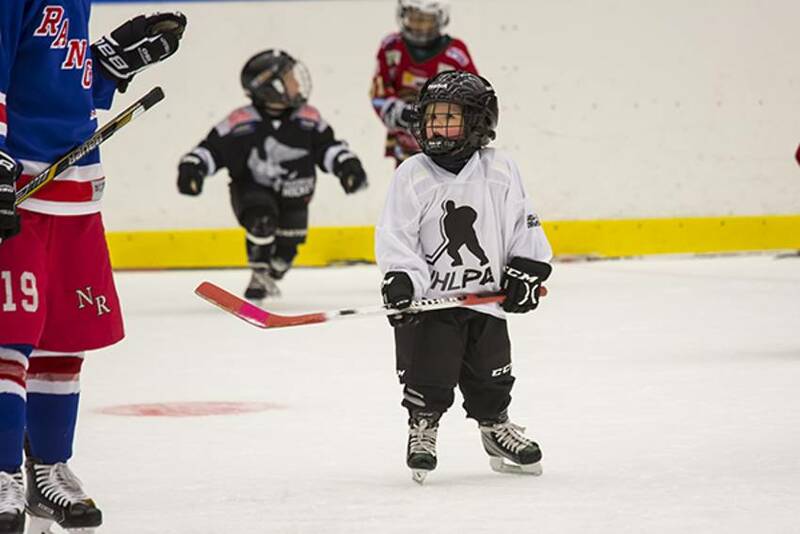 This is just another one of the ways that Frölunda is making hockey more accessible to locals. The club is offering programs for ten-year-olds that cost a maximum 3500 SEK per year (roughly $417 USD). Efforts like these make a huge difference in the cycle of participation, and are further enhanced when coupled with donations like the one from Lundqvist and the NHLPA. Dating back to its formation in 1999, G&D has donated over $23-million to grassroots hockey programs, and provided hockey equipment to more than 70,000 deserving children spanning 34 countries. “It makes me proud as a former player and NHLPA member just to witness it,” said Adam Graves, New York Rangers special assistant with Prospect Development and Community Relations, and one of the original NHLPA members to found G&D back in 1999. 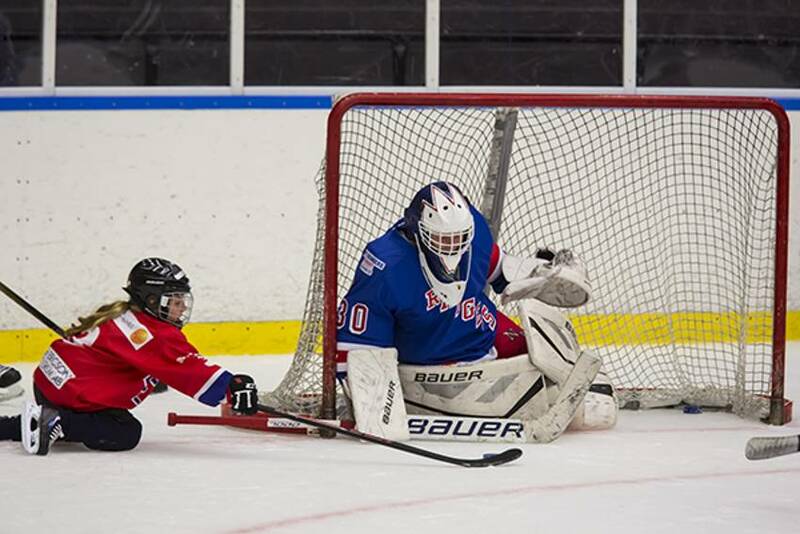 The journey will indeed be different for each child trying to put a puck in the net or stop a puck for the first time, but “King Henrik” also knows the real goal reaches far beyond on-ice accomplishments.